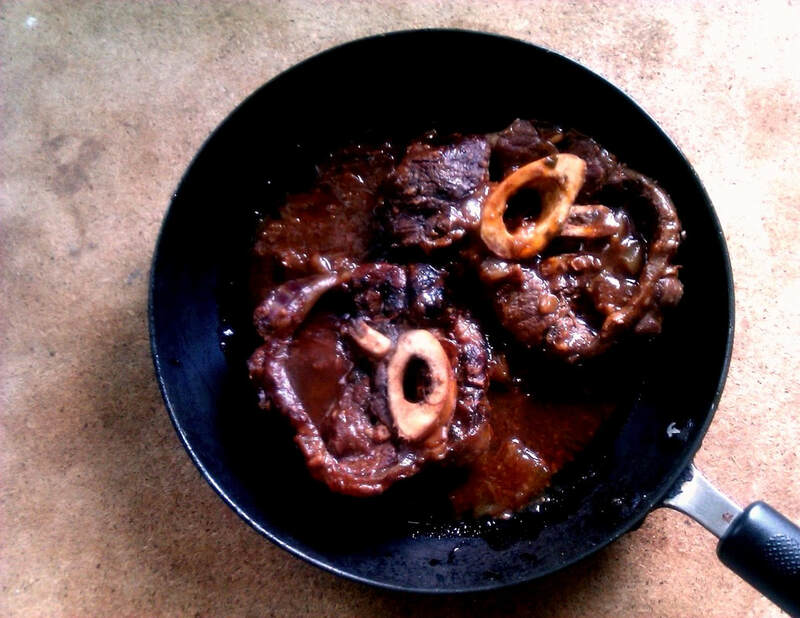 Osso Buco; bone with a hole, is a classic Northern Italian dish consisting of braised veal or beef shanks. 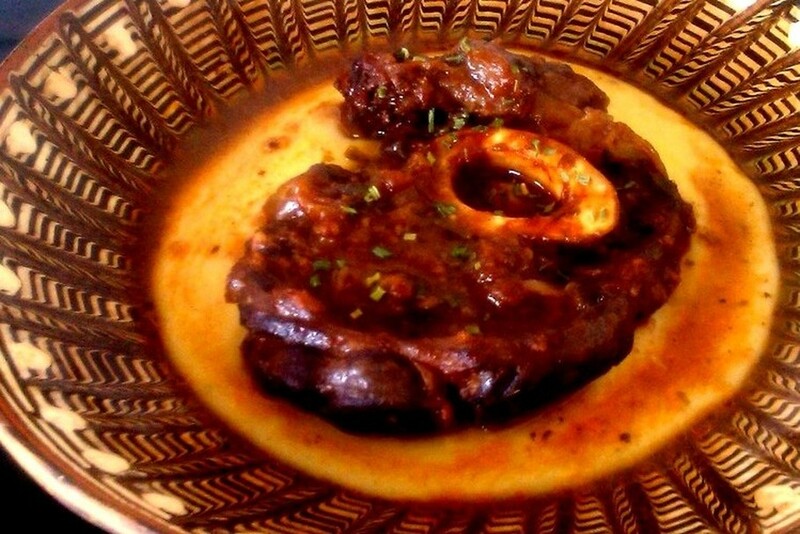 It is the ultimate comfort food; traditionally served with risotto Milanese but I go one better serving the shanks on a bed of creamy Polenta. 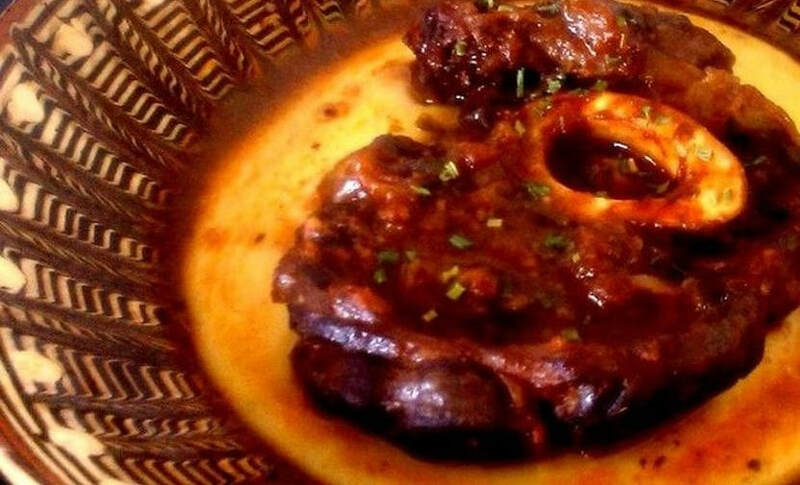 It would be a crime to serve this with mash potatoes because that would render this dish inauthentic; though it would still be tasty, the mash potatoes tend to turn to mush easily, while the Polenta absorbs the sauce much better and retains its shape under the weight of the shank and the sauce. I've tried this dish with risotto and it just doesn't work as well for me. 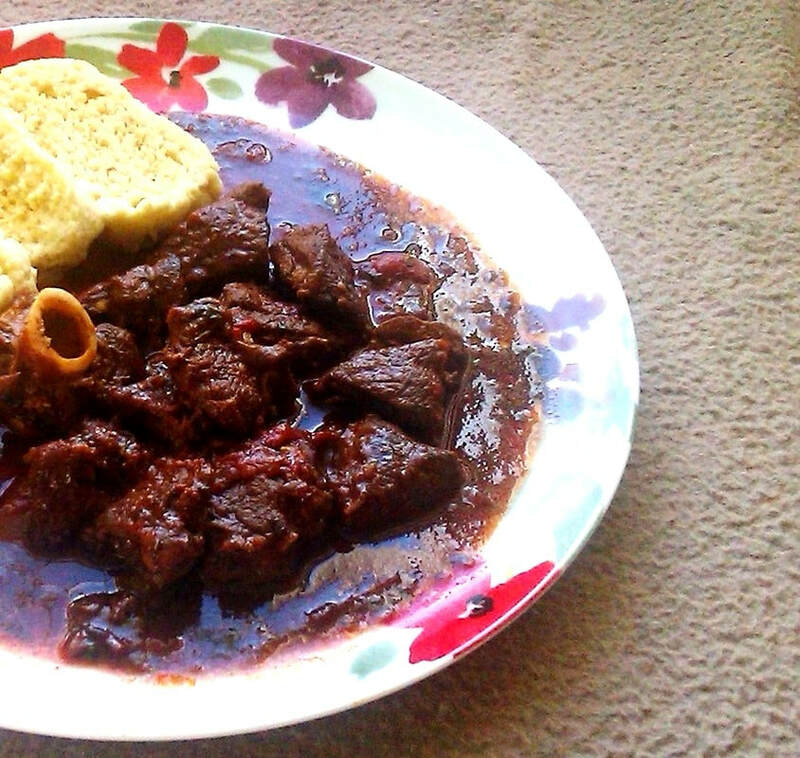 I think meats with heavy tomato sauces generally go much better with polenta; or a similar side dish to soak up all that lovely sauce. 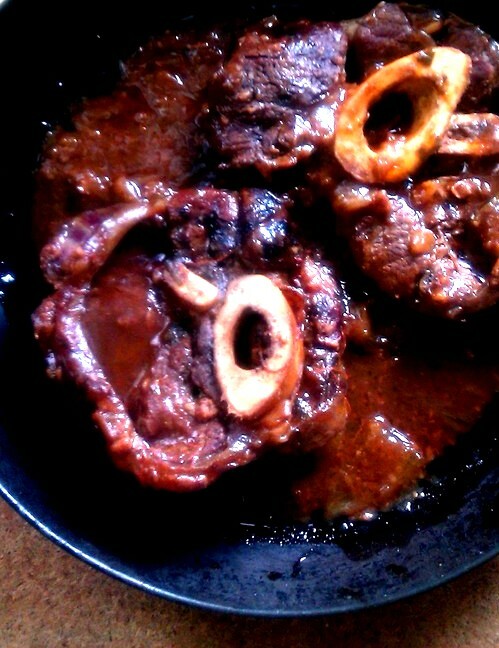 This is my recipe for Osso Buco, every Italian family has their own recipe. 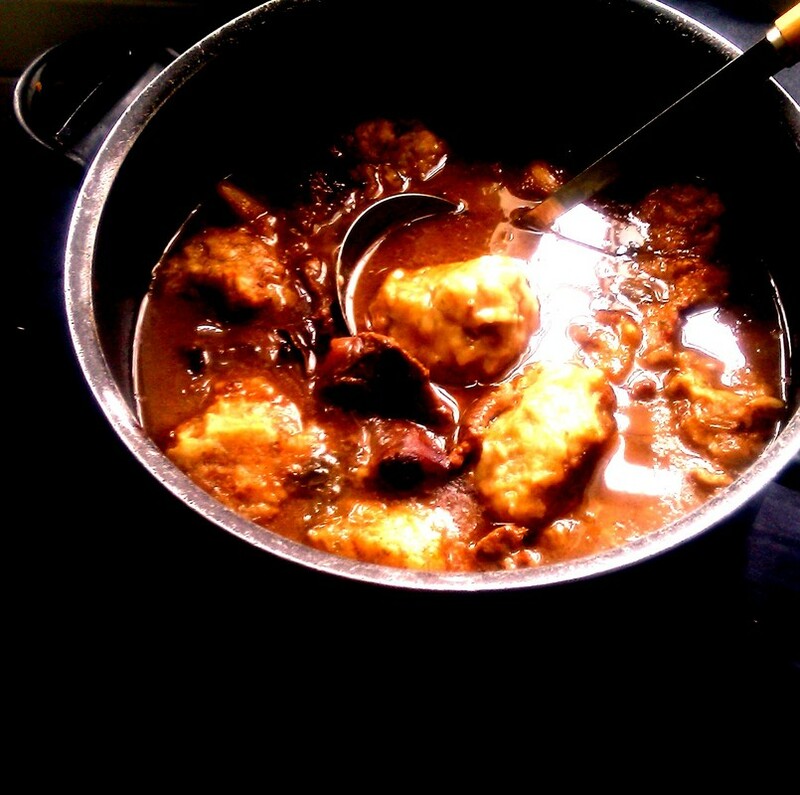 Like many Classic dishes this signature dish has changed and adapted over time. I've found a recipe that works for me. in the meantime tie each shank with kitchen twine so it doesn't fall apart once cooked. Sprinkle a generous amount of salt on each side of the shank. 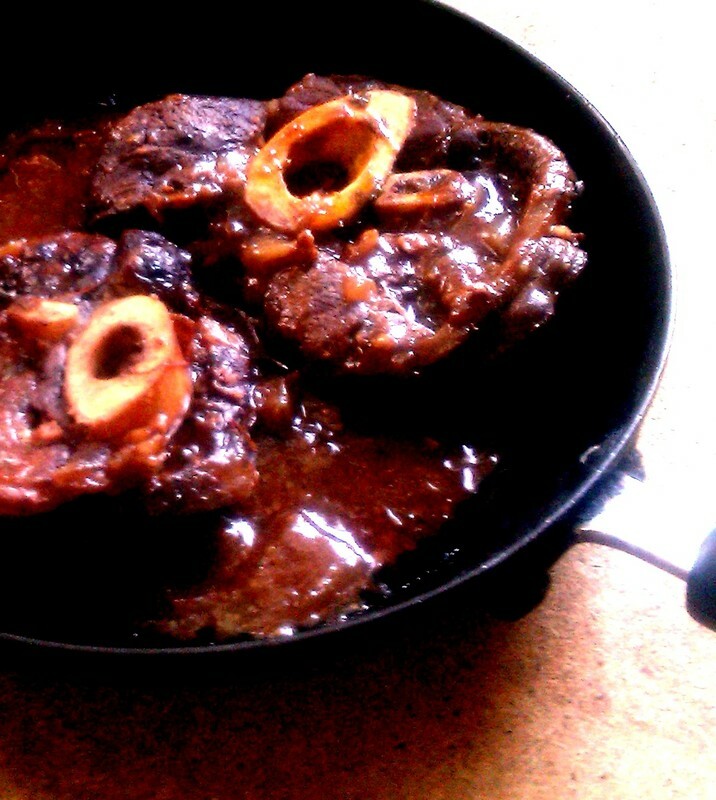 Once the oil is heated to searing temperature brown the shanks on each side, don't overcrowd the pan do so in batches. Once the stock has been boiling for 5 minutes add the shanks back to the pot, cover with foil and place into a 180 c preheated oven. 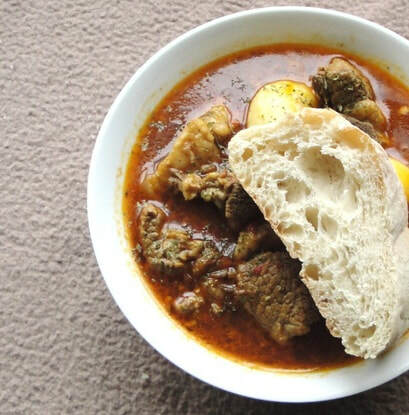 Cook for 3 hours for melting tenderness and serve with polenta and sauce.